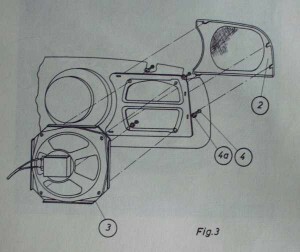 NEW DASH LOUDSPEAKER WHICH FITS PERFECTLY IN THE FRONT DASH SLOT OF VW BEETLE, KARMANN GHIA 1200 MODELS 1954-1968. AN UNUSUAL SHAPE THIS SPEAKER IS SOMETIMES OVERLOOKED SINCE IT IS SO WELL HIDDEN. 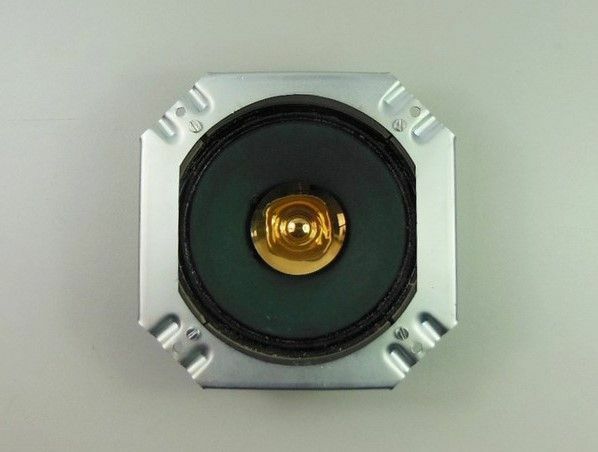 IDEAL FOR THAT PERFECT RESTORATION THIS REPLACES YOUR WORN OUT FACTORY SPEAKER OR FITS EXACTLY IN THE APERTURE BEHIND THE GRILL WHERE NO SPEAKER WAS FACTORY SPECIFIED. THE ORIGINAL SPEAKER HAD A TINY OUTPUT, OUR MODERN VERSION, MANUFACTURED FOR US IN GERMANY, IS ALSO LOW IMPEDANCE BUT WITH 20-30W POWER. A PERFECT UPGRADE OR REPLACEMENT.